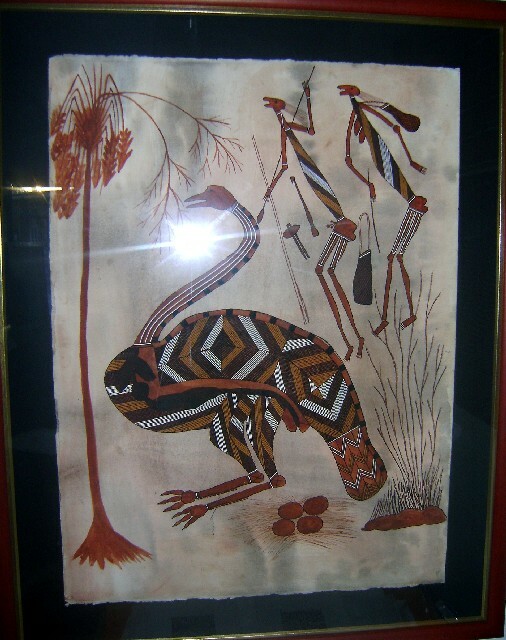 The emu is an important totem species for many of the Gunwingjku people of Arnhemland. Feathers gathered from the emu are used in the making of ceremonial costumes. Emus are hunted as a source of food and for making some carrying utensils.